We offer a wide range of high quality Stone Steps to our esteemed customers. These products are available at reasonable price and as per the specification provided by our clients. Our product range consist of various stone steps such as green stone steps, brown stone steps, grey stone steps and blue stone steps. These products are manufactured at very high quality raw materials that are procured from reliable vendors. We offer a wide range of high quality Decorative Stone Steps to our customers. these products are trendy with curvy design. These products are available in various shape and sizes that best suits the requirement of our clients. These products are manufactured using finest quality raw materials that are sourced from reliable vendors. These are also used for enhancing the splendor of landscapes. We offer a wide range of high quality Slab Stone Steps to our customers. These products are available in very affordable market price. 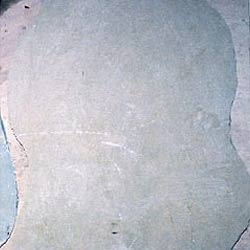 These products are manufactured using limestone. These are also used for enhancing the splendor of landscapes. 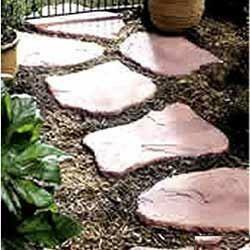 These products are unique curvy shaped brown stone steps that are available at very affordable market price. Our products are customizable as per the needs of our customers. We offer a wide range of high quality Landscaping Stone Steps to our customers. These stairs stones are available in both sandstones and limestone. These are also used for enhancing the splendor of landscapes. 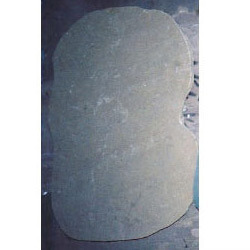 These products are oval shaped green stone steps that are available at very affordable market price. These products are available in various shapes and sizes to suit the requirement of our clients. We offer a wide range of high quality Natural Stone Steps to our customers. These curvy stairs stones are available in sandstones that are sourced from very reliable vendors. These vendors are associated with us over a very long period of time. These are also used for enhancing the splendor of landscapes. These products are available in various shape and sizes that best suits the requirement of our clients. We offer a wide range of high quality Grey Stone Steps to our customers. These products are available in various shape and sizes that best suits the requirement of our clients. These products used for enhancing the splendor of landscapes. 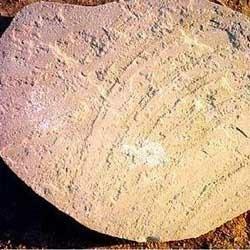 These products are round shaped green stone steps that are available at very affordable market price. Our products are known for their durability and trendy design. 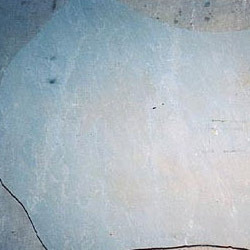 This form of natural stones find their applications mainly as steps.They are also used widely in North America for side pavings and as kerb stones also. These are also used for enhancing the splendor of landscapes. 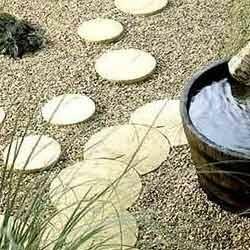 We offer a wide range of high quality Garden Stepping Stones to our customers. Our products can be customized as per the requirement of our clients. These products are manufactured using finest quality raw materials that are sourced from reliable vendors. These are also used for enhancing the splendor of landscapes. These products are curvy shaped green stone steps. We offer a wide range of high quality Brownstone Steps to our customers. 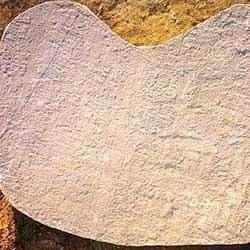 These products are manufactured using high quality sandstones that are procured from reliable vendors. We believe in effective and timely delivery of these products once ordered by our clients. These are also used for enhancing the splendor of landscapes. These products are trendy curvy shaped brown stone steps that are available at very affordable market price. 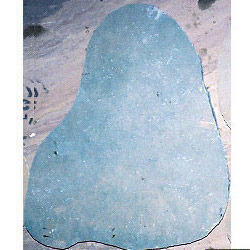 We offer a wide range of high quality Blue Stone Steps to our customers. These products are widely used for enhancing the splendor of landscapes. These products are curvy shaped green stone steps that are available at very affordable market price. Our products are customizable as per the requirement of our customers. These products are available in various shape and sizes that best suits the requirement of our clients. Looking for Stone Steps ?